A major investment at the downtown Farmer’s Market, primarily funded through the State of Kansas STAR Bond Program, continues to march toward construction. At the 2/6/19 Planning Commission meeting Commissioners voted unanimously to approve the project site plan presented by City staff. 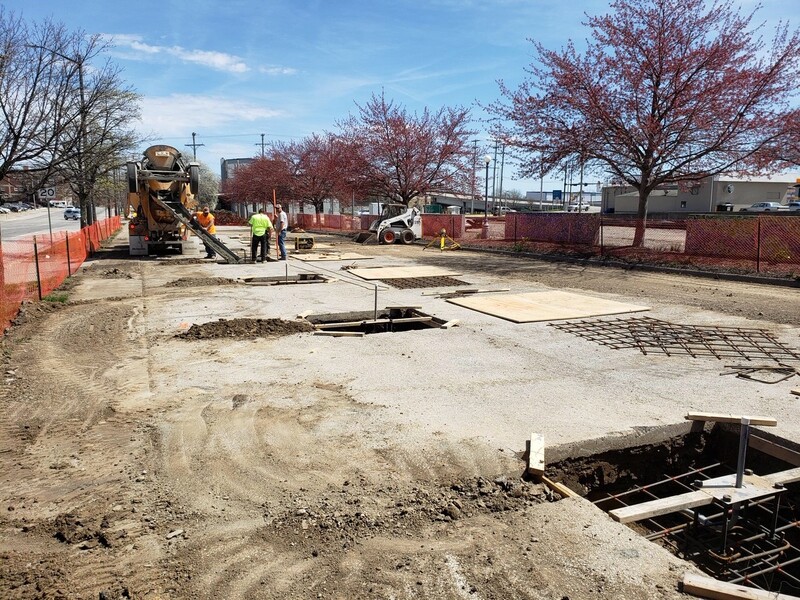 Construction on the pavilion project is likely to begin in the early spring with completion expected just in time for the opening of the farmer’s market season in mid May. The Farmer’s Market Project is being designed by Snyder & Associates out of St. Joseph, Missouri in conjunction with the City of Atchison, the Farmer’s Market, and the Atchison Art Association. Summary: This project will construct twin pavilion structures on the site of the Farmer’s Market in downtown Atchison. The structures will have space for 24 vendors to park under the pavilions and will allow for the future installation of a walking trail near the mosaic wall that adorns the site. Cost: The pavilion structures are just over $350,000. With about $50,000 in design fees and about $100,000 of additional site work, the total project is around $500,000. Funding: The City’s participation in the State’s STAR Bond Program is providing about $425,000 in funding for this project. The remainder is made up of funds from the City’s Capital Improvement Fund.